Are you lazy, or just hungover? Hey, we don't discriminate, are you both? If you find your state of lushness and/or lackadaisicality is impeding your most base efforts at communication - not even speech, we're talking an inability to text properly - well, now technology has an answer for you. This is also ideal for when your SO claims they don't care what they want to eat. Scroll and randomly hit an icon, problem solved! According to The Daily Dot, the popular food delivery website Grubhub has now made it even easier to issue edicts for eats...all while not really needing to hit those pesky letter-keys in any successfully coherent order. That's right, there are now specific emojis you can smash when you're too smashed to sound smashing. 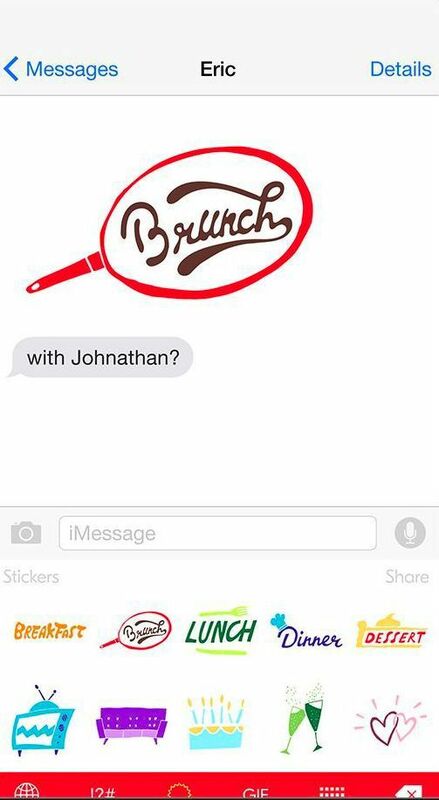 This link between communications and cuisine is aptly titled the MMMoji keyboard. As Grubhub describes it, "Everyday life involves a wide range of emotions, and we wanted to be sure our diners had a way to express that range -- no matter the reason! We think the app could be useful any time people are craving a meal." to text that you now want to go out daydrinking. While the eat-enabling emojis aren't utilized on Grubhub's actual website, they could be useful in a variety of situations. Drunk friends wandered to another bar without you? Send out an emoji to rally everyone at the taco truck! Mouth too full with delicious brisket to explain to the rest of your crew that you're in the BBQ pit? Hit the pig icon with "BBQ" written on it! Don't want to move from your comfy, comfy bed to greet the pizza delivery guy? Text your roommate about how "hangry" you are, and maybe they'll help! The MMMoji keyboard was developed in partnership with the mobile-messaging magnates at Snaps, according to PR Newswire. Grubhub CMO Barbara Martin Coppola extolled, "Grubhub aims to bring joy to all the moments that matter to our diners, on days of significance and those that are part of the everyday...We are excited to work with the Snaps team to bring our diners a new, fun tool to celebrate the language of food." 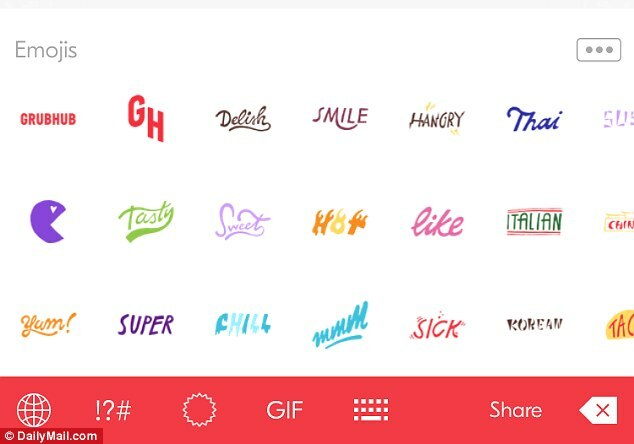 Grubhub takes their love of food pretty...seriously? Is this a tech breakthrough or a slippery slope in the modern dumbing-down of interpersonal relations? Won't the robots be able to take over much more easily when they realize how sedentary and slothful we've become? Aren't you willing to risk it anyway for the most efficient means of acquiring delicious tacos? Download the MMMoji keyboard (currently only on iOS, with Android to follow) and satiate your sweet, savory, or spicy tooth, sans speech. 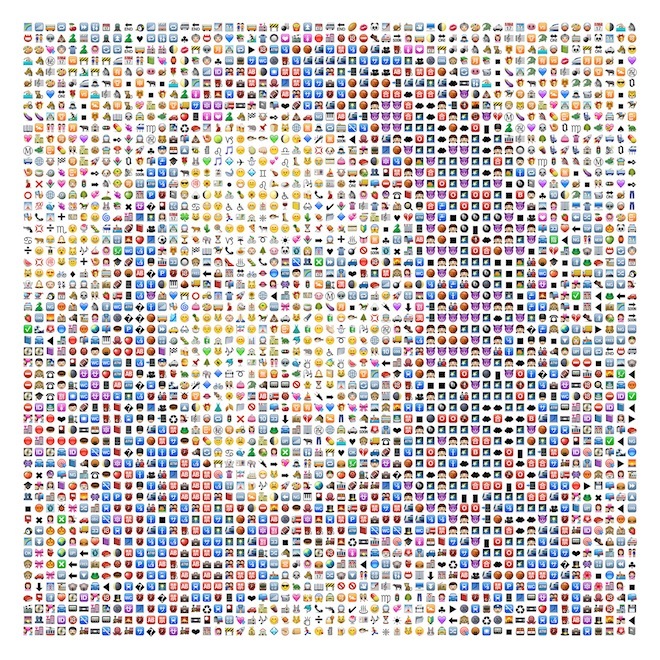 The emoji empire grows stronger. Soon, all human speech will be little text hieroglyphics.